t0: time at which the load applies to structure [days]. Example: 28 days is a typical value for the selfweight. 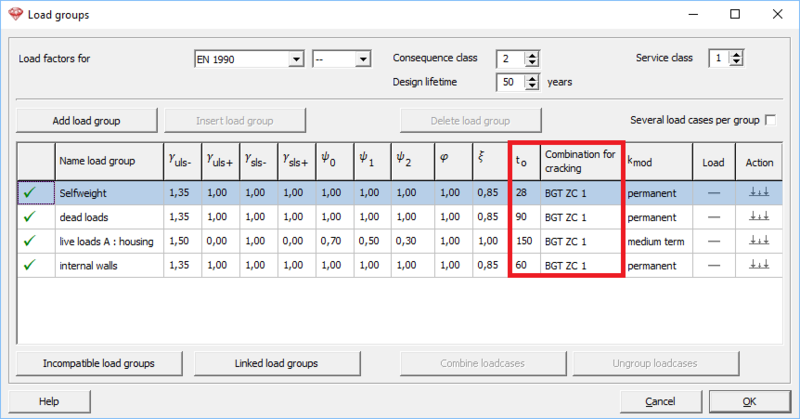 Combination for cracking: reference combination for the cracking in time evaluation. Recommended is to take ULS RC 1 (NL: BGT ZC 1, FR: ELS CR 1), as all other evaluation of cracking in Diamonds is based on ULS RC.